Unmatched smoothness, durability and elegant color combinations are some of the attributes of our Colombo Gold Granite Stones. We are an eminent Manufacturer and Supplier of Colombo Gold Granite Stones from Rajasthan. 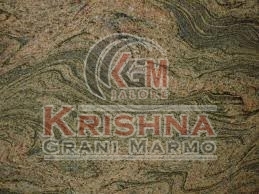 The Colombo Gold Granite Stones we make available are processed as per set industrial norms. To cater the bulk and urgent requirements of the buyers, we maintain a large stock of the Granite Stones.